"Location, location, location! Steps to Michigan Avenue, the lakefront & and the best of Rush Street restaurants and nightlife. However, the building does not allow dogs. If you have a dog and want this location, 50 E Bellevue is a good alternative." Located on a beautiful tree-lined street in the heart of the Chicago's Gold Coast, 100 East Bellevue offers a unique blend of tranquility, convenience and luxury. 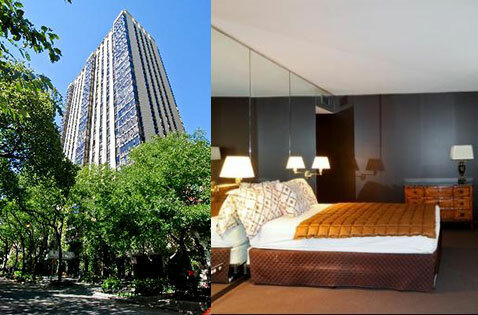 Located steps from the Magnificent Mile and Lake Michigan, 100 E Bellevue is a very desirable place to call home. Location isn't the only perk of 100 East Bellevue. Luxury amenities are also available to residents including a pool, modern fitness center and a 24 hour doorman. 100 E Bellevue has a no dogs pet policy. 50 E Bellevue nearby is a good option for those buyers with pets who would like to live in this fantastic Gold Coast location.